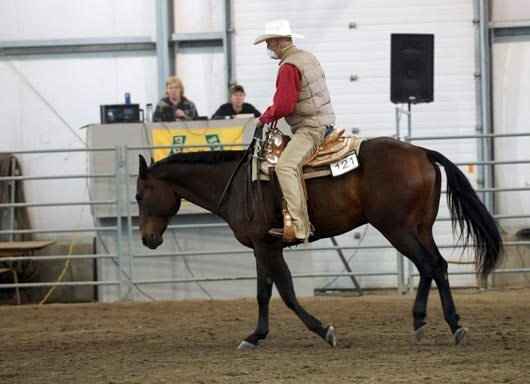 Cyril Desjarlais performs the Senior Riding Pattern Class bridleless. 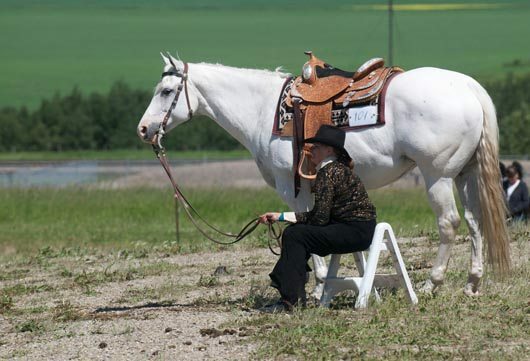 The all breed, 49th annual Didsbury Horse Show, ran July 8-10 at the Didsbury Agriculture Grounds, Didsbury Alberta. 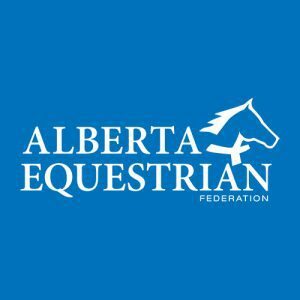 This event is an approved Alberta Equestrian Federation Wild Rose Competition that hosted 116 classes, including driving, jumping, western and english pleasure, equitation, dressage and halter. 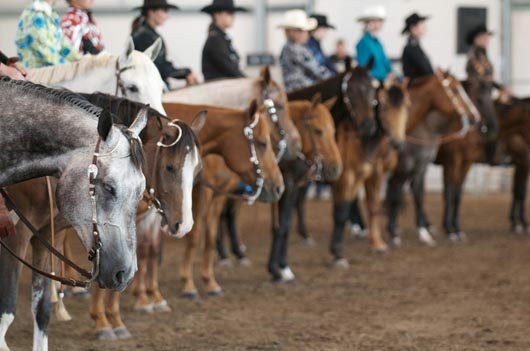 Judging the show this year was Laverne Schmidt, of Onoway, Alberta, in the Dressage ring, Rebecca Cade, of Red Deer, and jumping judge Margaret Johnston of Didsbury. The Jeopardy Challenge was held Friday night, involving a challenging course, with $500 in prize money to be won. Craig Grove and his horse Stormy brought in the top score from the obstacle challenge. 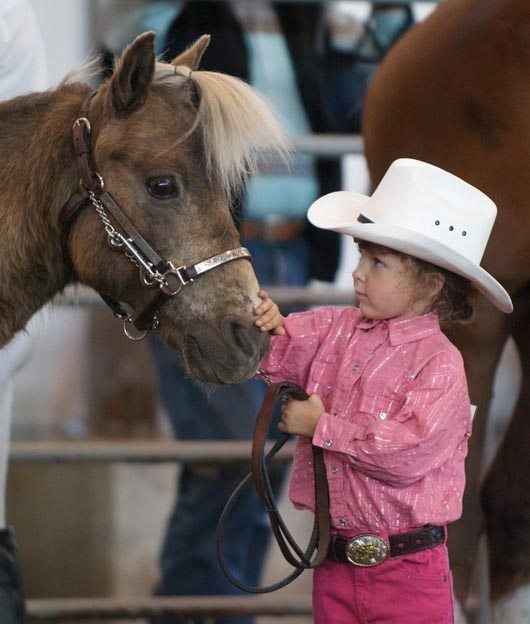 One of the youngest competitors of the show, Tyne Alliban and horse, Mr. Wiggles, having a moment in the Junior Halter Class, 11 and under. Jumping classes were new this year and held Saturday with a 3 Bar Jump off held in the evening. Winning the jump off, sponsored by Trans Canada, was Kaylee McLachlin on Amigo. 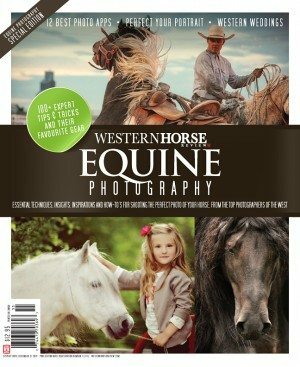 Saturday’s show ran Western and English showmanship, equitation and pleasure classes. Sunday was the dressage and junior class line up, including the most poplar costume class. Saturday competitor takes a break from the saddle and enjoys the sunshine. 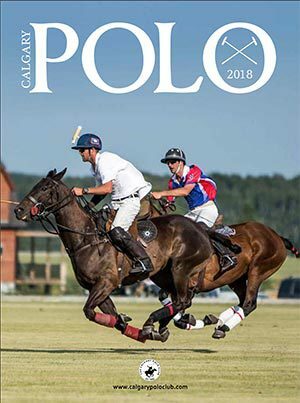 2012 will be the show’s 50th year and event planners are already in the process of building more over night box stalls and a concession area with inside seating and area for evening demonstrations. A “Nostalgic Class” is to be added, for people who who have participated in the Didsbury Horse Show during the past 49 years. Organizers are also asking if there are people who have photographs, trophies, memorabilia, fun stories etc. 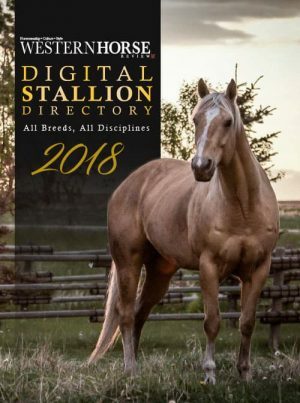 in their midst, to please contact the Pratt family at 403-335-4435 or the Didsbury Ag Society at 403-335-4494. These items will be exhibited in celebration of the show’s 50 year anniversary in 2012. To keep up to date on details of the Didsbury Horse Show, log onto facebook and look them up. By clicking “Like” you can keep up to date on this show and what they will have in store for 2012.